The government is considering banning password-free Wi-Fi in public place. 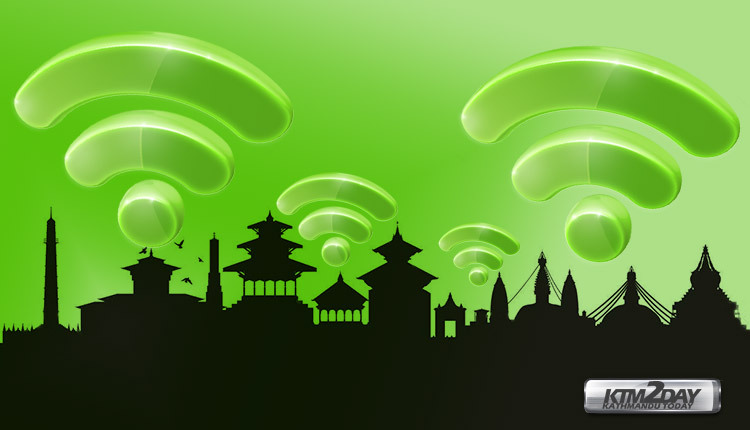 Nepal Telecommunication Authority set out a new policy to this effect considering security issues. According to a NT report on security provision regarding the free Wi-Fi, the public Wi-Fi networks must have a mandatory login provision in order to access them for free. Similarly, the Wi-Fi operators must collect IP and MAC address of the user devices accessing free Wi-Fi in public place. The new provision makes it mandatory for a user to provide a phone number in order to obtain a password for using Wi-Fi. Once a user registers his phone number, he will be provided a password through SMS with which he can access free Wi-Fi. The state owned telecommunication service provider said that such provision has been prepared to curb criminal activities done by using public Wi-Fi networks. “We are rolling out this criterion in order to track the offender who does criminal activity by using free networks,” NT Director Bijay Kumar Roy said. Roy informed that so far it was up to the Wi-Fi service providers to decide whether or not to make the login and device tracking system mandatory in free Wi-Fi networks. But the new provision makes them compulsorily collect the details of the user device, he said. The new provision also states that the Wi-Fi providers will have to restrict the timeframe or data volume of their Wi-Fi networks released for free. “For example a user should be allowed to access free Wi-Fi through a particular device for certain time like 30 minutes or an hour. If not time, the ceiling for data volume must be set such as up to 1GB,” said Roy. Meanwhile, the service provider should store the details including phone number, IP or MAC address of the accessing device in their server and furnish such details upon request to the government authorized body. “The service providers do not have right to share such details with the third parties and should store user data in encrypted format,” says the NT report.